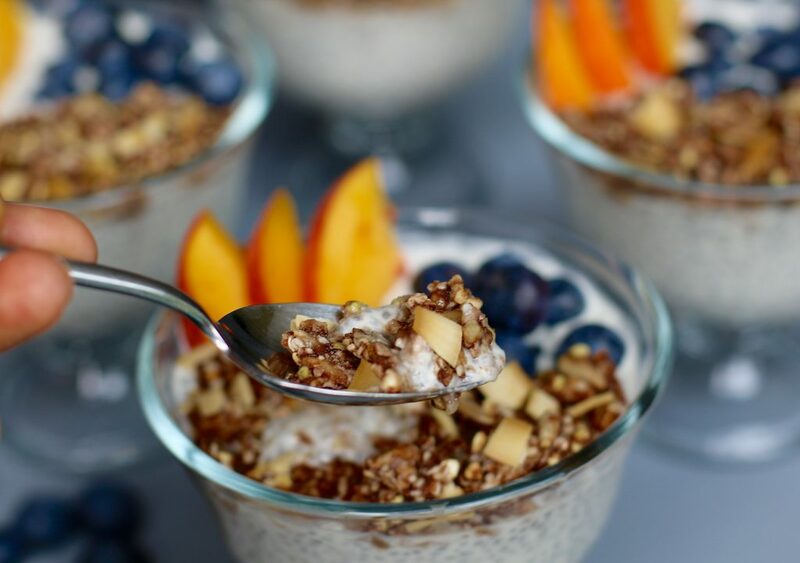 This delicious recipe is super easy to make and tastes great for breakfast or a healthy snack. Adding probiotics, like the one in this yogurt, into your diet will not only balance your digestive system it may also help in weight lose. 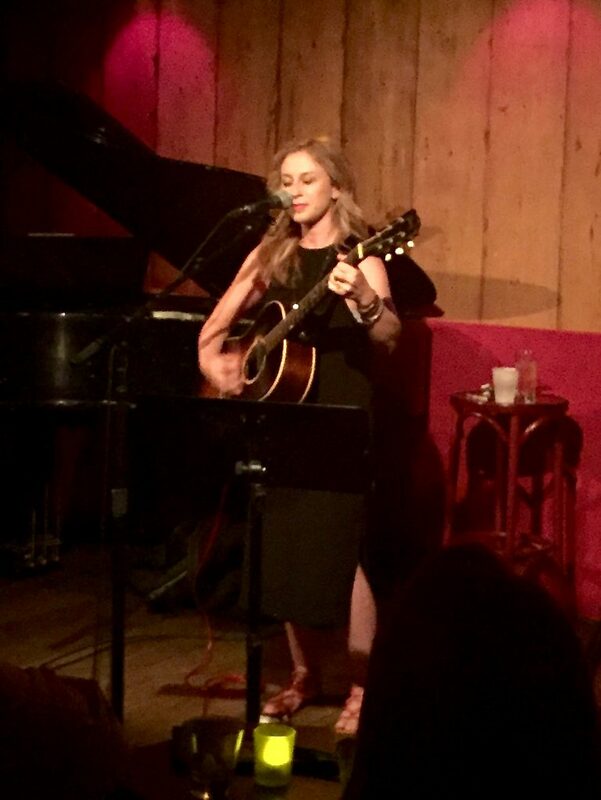 Last night, I was fortunate enough to see Toby Lightman perform at an intimate venue in Manhattan where she played some of her old and new songs. Her beautiful voice combined with her passionate lyrics really had the crowd captivated. She not only entertained the audience with her smooth and sultry sound, she also kept them engaged with her fun personality… a true performer. Toby’s major label debut in 2004 set the stage for her astounding career. 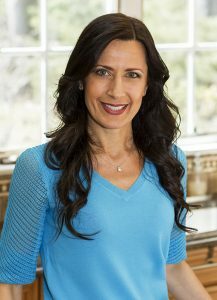 She has toured with well know artists like Rob Thomas, Jewel, James Blunt, Gavin DeGraw, Train, and Marc Cohn. The one that tops it all for me was when she opened up for Prince, who happens to be one of my favorite musicians. After seeing her perform on Conan, he asked her if she was interested in opening up for his show. Isn’t that amazing?! Prince’s sudden death was a tragedy. We lost a great musician and his passing has touched many. To pay tribute to this renowned artist she sang one of his songs so beautifully. She also sang a song that is very emotional to me called, “Better”. I can totally relate to the lyrics. 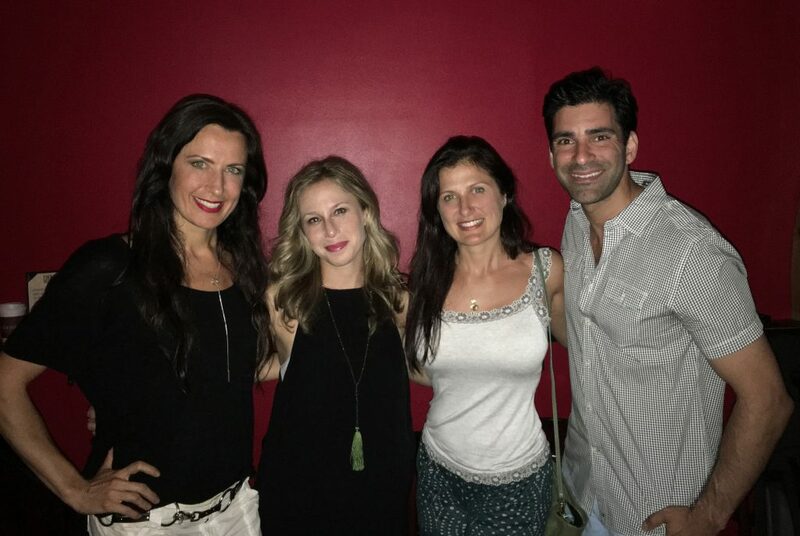 It was a great night with my sister and her fiance! I have always been drawn to music. I think in my past life I may have been a singer/musician. I remember growing up trying to play the notes on the piano to songs I would hear on the radio. Unfortunately, being one of 4 and dealing with the usual financial burdens of having a big family, piano lessons were not high on the list of priorities in my home. May be one day when I have more time I can take some lessons, write some music and even try singing… a girl can dream, right? I was whisked away for a moment last night, but now it is back to reality. Creating a healthy snack is on the agenda today. Probiotics and nuts are the stars of the show. According to a study published in the British Journal of Nutrition, it states that probiotics can help with weight lose. Eating foods containing probiotics is said to make the intestinal walls less permeable. This in turn allows fewer molecules that are part of causing obesity to be able to enter the bloodstream. Studies are still inconclusive about how probiotics play a part in weight lose, but one thing is for sure this beneficial bacteria can improve your immune functioning and digestive health. With that said, I find it necessary to incorporate probiotics into my family’s diet not only in capsule form every morning and evening, also in the food that we consume. My husband is a big yogurt eater and when the kids see it in the refrigerator they ask for some as well. I am not a believer in dairy so… let the battle begin. I had to come up with something to appease my little, sweet and adorable naggers. 1. It is important to sterilize the utensils and bowl in order to avoid growing undesirable mold. 2. Probiotics do not like metal. Try to avoid using a metal spoon when mixing the probiotics into the milk. A wooden spatula is a great option. 3. Sweetening the yogurt with raw honey will help the good bacteria grow. Since nuts are a much healthier alternative than cows milk, I decided to try to experiment with almonds and cashews. They are a great source of protein, fiber, and good fats. A study found that consuming almonds may reduce the urge to over-eat. They help you feel fuller longer which curbs your desire for unnecessary snacking. There are a few ways to culture yogurt. I chose probiotic pills but the yogurt consistency turned out to be a bit liquidy. Since I am on a chia seed kick, I decided to use these wonderful seeds because of their health benefits. I prefer to add this seed because it works great as a natural thickener. Rich in fiber, protein, vitamins, minerals, and brain-boosting omega-3 fatty acids, these healthy little seeds are a staple in my home. 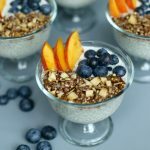 There is a wide variety of recipes that you can make with yogurt ranging from a simple breakfast with gluten-free sprouted granola or a beautiful parfait as a snack or a healthy dessert. Now you have your very own recipe to experiment. I would love to hear what you come up with. Enjoy! 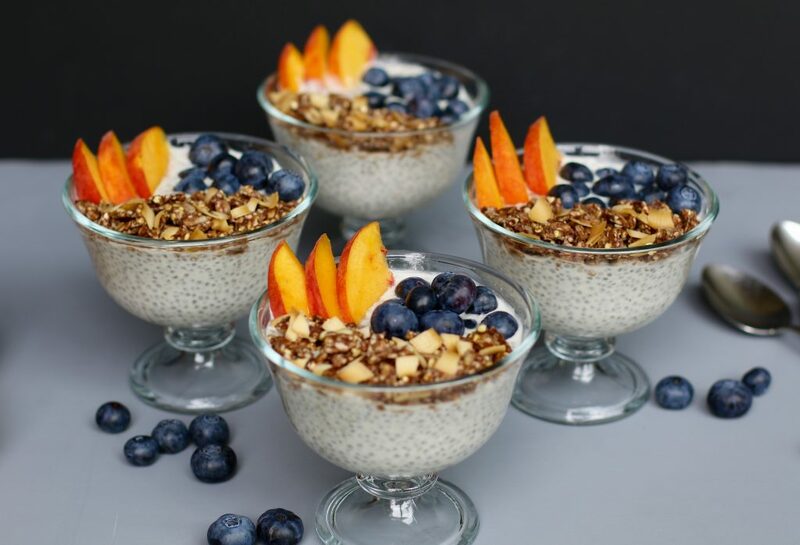 With just 6 ingredients you can be eating a simple dairy free yogurt thickened with the amazing health benefits of chia seeds. 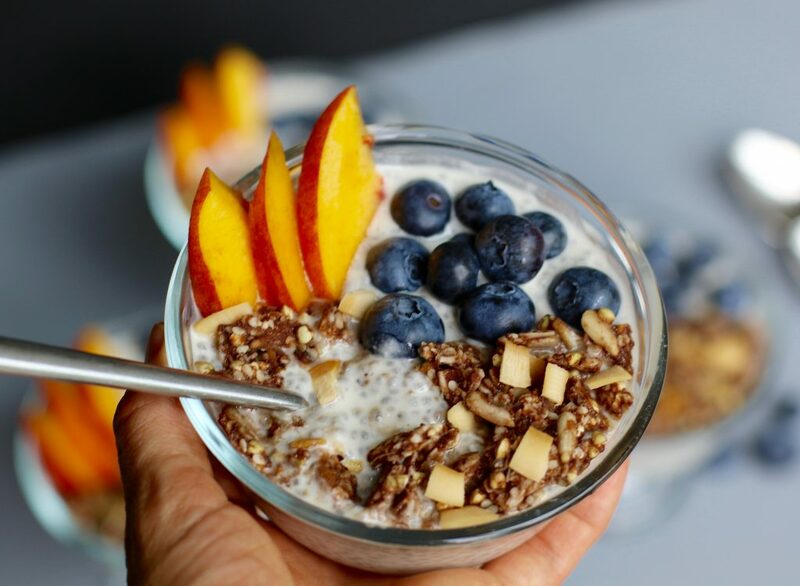 Top it with some gluten-free sprouted granola and fruit and this recipe will be a great breakfast or healthy snack option. Soak the almonds and cashews for about 24 hours. Rinse them off, place them in a vitamix with 3 cups of filtered water, raw honey and blend them until they are smooth. Strain the mixture through a cheesecloth into a clean bowl until all the milk is drained from the nuts. Really squeeze as much milk out as possible. The pulp can be used to make crackers or cookies. Open the probiotic capsules and sprinkle it onto the milk and mix it with a sterile wooden spoon. Do not use a metal spoon. Place the bowl in a warm area away from sunlight and cover it with a clean thin cloth. Allow the milk to culture for about 9 - 12 hours before you stir it. Try giving it a taste with a wooden spoon to determine if it is tart. If not, give it some more time until it tastes sour like yogurt. 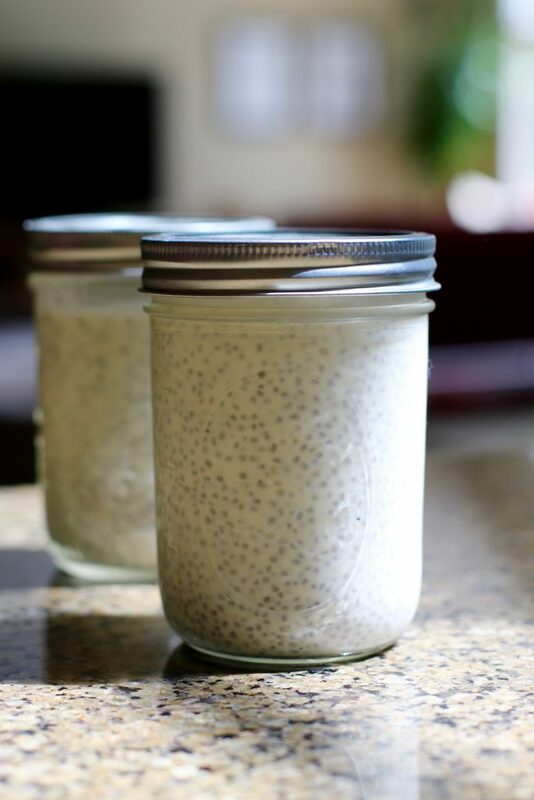 When the yogurt is finished fermenting, add the chia seeds and stir them in with a wooden spoon. 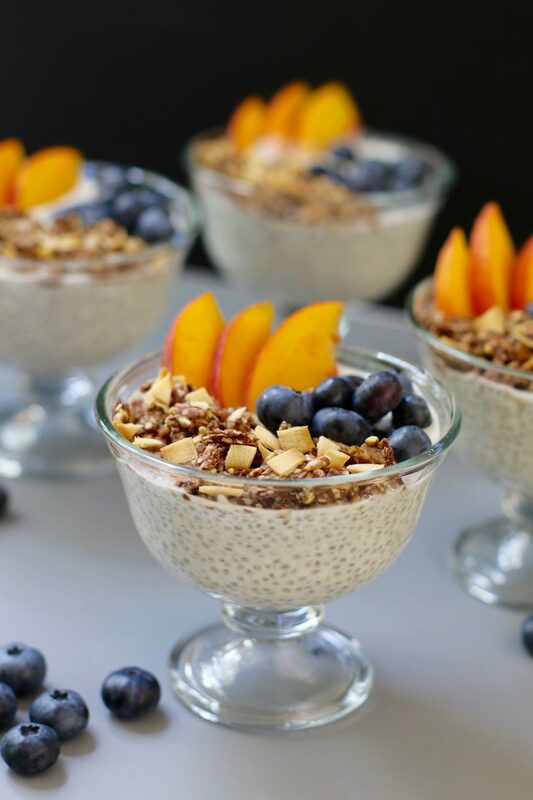 The chia seeds will allow the milk to congeal giving it a yogurt-like texture. Place the yogurt in the refrigerator for about 1 - 4 hours depending how thick you want it. You can also add a little more chia seeds if you would like it thicker. The yogurt can be stored in the refrigerator for 1 week. 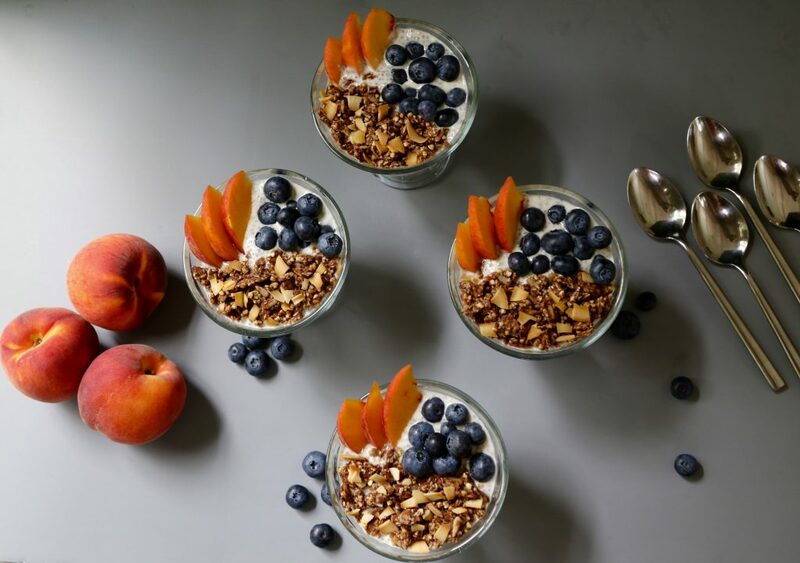 Enjoy it with some gluten-free sprouted granola and fruit for breakfast or a healthy snack. Did you ever make yogurt? Previous Post Tahini & Chickpea Miso Dressing – Hiking, Hiking & More Hiking! 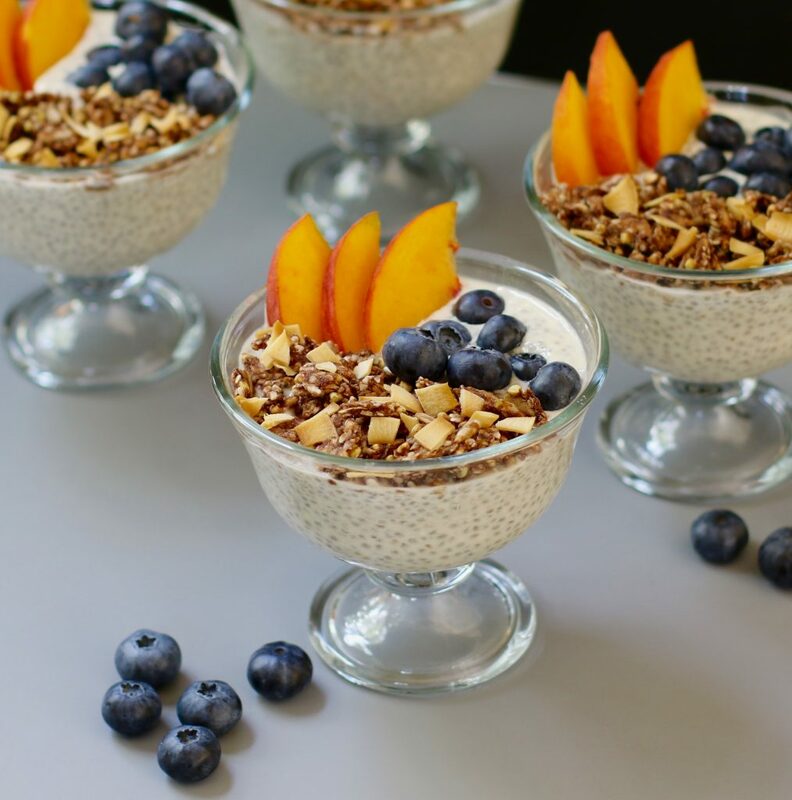 What a great way to incorporate a yogurt alternative to ones diet. You never cease to amaze with your original and innovative recipes! Amazing, you are an inventive chemist!! !